How can you use toddler flashcards with your child? Will they really help him learn? We all want our children to be high-achievers, and we feel so proud when the pediatrician tells us, in those first well-baby checkups, that our child is top of the curve developmentally—or the worry that we feel when he hints maybe there may be ‘developmental delays’ is unmatched by anything else. But every toddler develops at his or her own pace, and it’s important that we don’t try to rush these little people as if they were in some great competition with every other toddler on the planet. The rate at which your toddler develops various skills in his first years has very little to do with the mental height he will eventually reach, and late bloomers are often the strongest, most robust-minded, intelligent adults. What does that have to do with flashcards? When flashcards are used to meet your child where he’s at, enabling him to have fun and perhaps do a little extra discovery he wouldn’t have been able to do otherwise, flashcards are well and good. When flashcards are used to push your child academically in a routine, boring, or stressful way, though these flashcards can kill. Kill your child’s imagination, kill your child’s love of discovery, kill your child’s zest for life. Here’s the bottom line: any learning your toddler is doing has to be fun. Boring drills and mind numbing memorizations should be saved for middle school, high-school or college. Even a small amount of non-fun learning during the toddler years can set up mental blocks that will severely handicap him in the years to come. So… no mindnumbing drills. But then what do you do with your toddler flashcards? There’s so much—remember, the one requirement is having fun; when that happens, learning will happen automatically on the side. 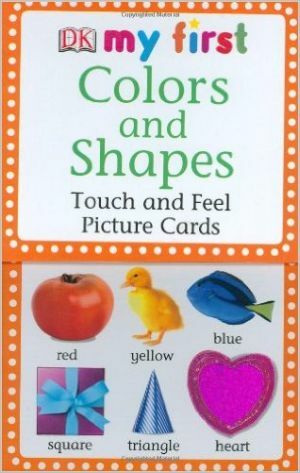 For a young toddler who wants to ‘do school’ start by laying out some simple color/shape cards on the carpet; a manageable number if your child has no exposure to the concepts before. Talk about the colors and shapes with your little. Then give him commands “Can you give me the blue circle?” When he picks up the yellow triangle to give you instead, don’t scold “Oh, that’s a yellow triangle. The circle is the one that looks like a ball. Oh, yes, you found it! That’s a blue circle! Thank you!” Put it in a special pile, then ask for the next one. When the stock on the floor becomes finished, add more. Continue playing for as long as your child likes, and when it is done, count up the collected card as his ‘points’ to show how much he won. 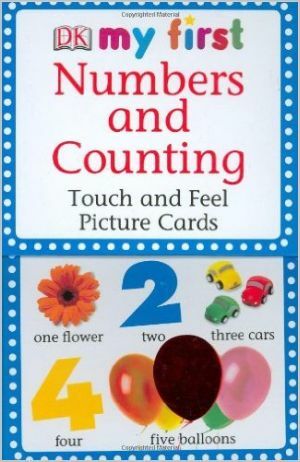 An older toddler will love playing memory, another game that helps cement numbers, colors, shapes, or letters, depending on what you play it with, and that gives his memory skills a workout as well. To play this game you’ll need two identical sets of cards. Choose sets (2 of each) of between ten and thirty identical cards you’d like to concentrate on, and lay them facedown on the table. You and your toddler take turns turning over two cards at a time. If they are the same, the player gets to keep them; if not, they get turned over. Describe the cards as you turn them over “Oh, here’s an A. And this is a L. Not the same!” and encourage your child to do the same “Which one is that you just turned over?”. Keep it low pressure, and you’ll be surprised at how quickly the ‘card names’ are cemented in your child’s mind. You can buy flashcards at many supermarkets and general stores, but online always offers you the best selection. For instance, toddlers learn best if they can use all their senses: most flashcards offer just a visual, but DK Educational Cards are touch and feel, allowing your sensory-oriented child to really get involved. 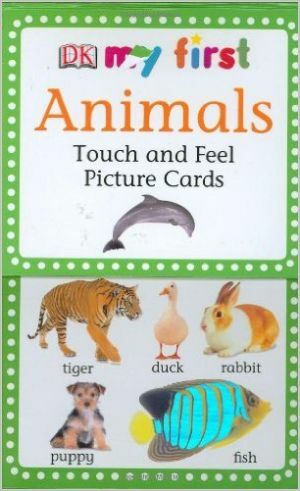 You can buy Touch & Feel Colors and Shapes, Touch and Feel Numbers and Counting, and Touch and Feel Animals, among others. Enjoy playing with your toddler, and remember—keep it fun!